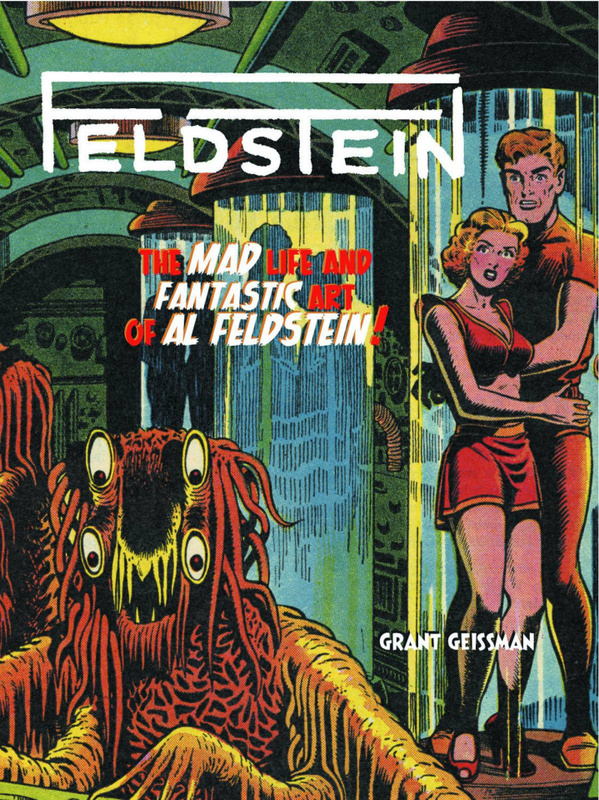 FELDSTEIN The MAD Life and Fantastic Art of Al Feldstein! takes a long-overdue look at the entire remarkable career of this legendary artist, writer, and editor. Both a full biography and a coffee-table art book, we begin with the earliest surviving Feldstein artwork from the High School of Music and Art, present his very earliest comic-book work, and follow his development from the 1940s Victor Fox shop (including the titillating "headlight" comics Junior, Sunny, and Meet Corliss Archer). And we examine his highly visceral work for the classic E.C. comic book line. Along with rare and previously unpublished photographs, the book pictures every E.C. Feldstein comic book cover (many placed alongside the original artwork), presents several complete E.C. stories, plus nearly every splash page and house ad Feldstein did for E.C. We trace his thirty-year career as the editor of MAD, and present his post-retirement work as a "fine" artist, including his prize-winning Western canvases and his many commissioned paintings "revisiting" his classic cover images from the 1950s. We examine every aspect of Feldstein's long career and fascinating personal life, not all of it sweetness and light.